Join Poppy, Branch, and the Snack Pack for fun and fabulous activities in this Trolls book with five colored pencils and five toppers. 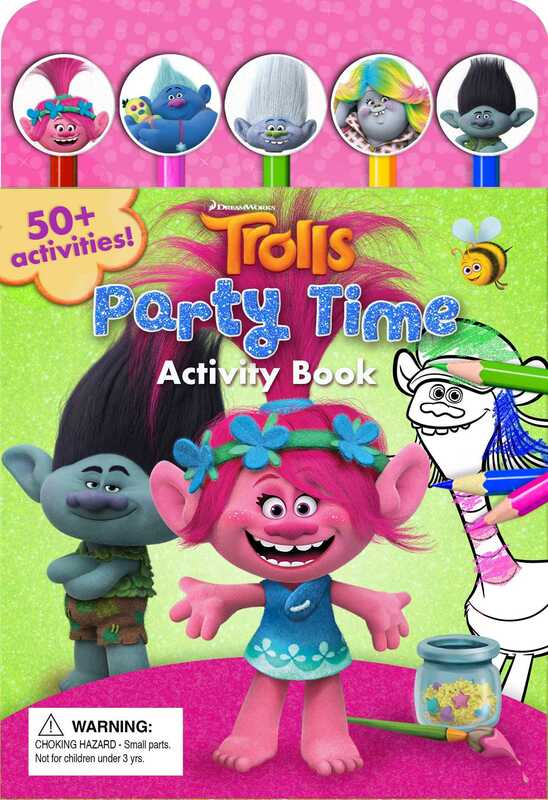 This Troll-tastic activity book comes with five colored pencils and five Trolls pencil toppers, plus hours upon hours of fun activities. The 64-page book is packed with mazes through Troll Village, spot-the-difference games, and search-and-find puzzles in Branch’s bunker. This fantastic activity set is a must-have for all DreamWorks Trolls fans!